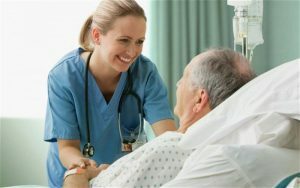 As payments to hospitals and ambulatory providers become increasingly dependent on improving patient satisfaction and patient engagement, it is vital that health care systems create and maintain a culture of patient-centered care. However, many hospitals don’t have the time or the skills to create and maintain this sort of culture—one that is capable of changing behaviors across health care teams, increasing patients’ engagement in their own care, and helping patients make healthier lifestyle choices. 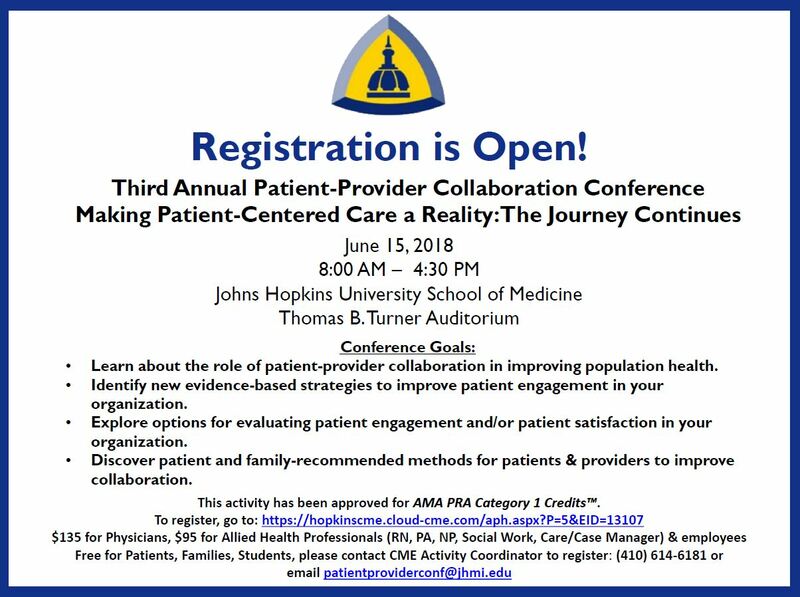 The Johns Hopkins Patient Engagement Program (JHPEP) is a comprehensive, in-person, skills-based training program that teaches nurses, physicians, social workers and other providers how to change their team’s culture, engage their patients as partners in health care, and communicate in a way that motivates patients to engage in healthier behaviors. More than 500 providers across Johns Hopkins Medicine have participated in the patient engagement training since it was first offered in 2012. Data from those participants indicate high levels of learner satisfaction and valuing of the skills developed. Outcome data indicate learners experience significant improvement in both their skills as well as their knowledge and attitudes about patient engagement. Maintenance & Evaluation—1-year post-workshop support of trainee to help maintain learned skills, using email “JHPEP Tip of the Month” with video learning and expert coaching of local champions, evaluation support with measurement of learner and patient outcomes. Stephen T. Wegener, Ph.D., ABPP is director of the Division of Rehabilitation Psychology and Neuropsychology, professor of Physical Medicine and Rehabilitation in the Johns Hopkins University School of Medicine, and a professor of Health Policy and Management in the Johns Hopkins Bloomberg School of Public Health. His clinical activity is focused on providing psychological services to persons with traumatic injuries and chronic illness. His research focuses on theories and projects that have the potential to improve function and reduce disability. These projects emphasize the importance of patient-centered care models, self-management by patients and the use of motivational interviewing by providers. His research has been supported by grants from the National Institutes of Health, Centers for Disease Control, the Department of Defense and several foundations. Nicole Schechter, Psy.D., is an assistant professor in in the Department of Physical Medicine and Rehabilitation. Clinically, Dr. Schechter specializes in providing psychological services to persons with chronic health conditions. Her research is focused on the factors that improve patient-provider relationships and patient-provider collaboration to effect positive patient health outcomes and organizational change. She serves as the coordinator of the Johns Hopkins Patient Engagement Program.